IT’S been an open secret for some time that Spooks had come to the end of its long and winding road. Today came final confirmation that series 10, due on screen next month (September), will be the last. You can read the full official press release at the end of this blog. The end came as no surprise to fans of the BBC1 show, who were left wondering why the BBC and production company Kudos had left it so long to confirm what everyone knew. With Kudos said to have taken the decision themselves to end the series and move on to other things, including an already announced (Jan 2011) new eight-part BBC1 spy drama series called Morton. Rather than the BBC wielding the axe. Chief Executive Jane Featherstone said today: “We have always wanted to end Spooks on a high, but never knew when that time would be. “Harry Pearce, played by the wonderful Peter Firth, has always been at the heart of the show and this series focuses on Harry’s past, bringing his tumultuous relationship with Ruth to a head. As we near completion of this year’s show, I’m sorry to say but it feels this series is a fitting end to a much-loved show. 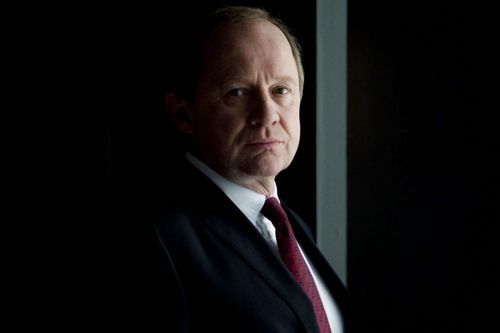 There was already speculation that Spooks was nearing the end of the road when I spoke to Peter Firth (Harry Pearce) in early February. I asked him directly if series 10 was going to be the last, knowing full well that it was a question he could not answer. I later asked BBC Drama boss Ben Stephenson to come clean and put Spooks fans out of their misery. But his lips were sealed – a gesture which, in itself, spoke volumes. Back on set again a few weeks later in April, I asked Peter Firth and Nicola Walker (Ruth Evershed) about the series coming to an end. All are actors under contract and it’s not their place to announce such things until it is confirmed and made official by their employer. I knew that. And they knew that. So the dance had to continue. But it appeared clear they were working on the last ever series, reduced this year to just six episodes with no increase in budget per hour. In the end, it was left to a veteran supporting artist – extra – to confirm what everyone knew. It was, in truth, an Alice In Wonderland situation. But with the BBC / Kudos representatives denying any decision had been taken, we were all left to wait for today’s official confirmation. I was at the press launch for the very first series of Spooks and have interviewed the cast and gone on set for every subsequent series. Personally, I think Kudos has done the right thing. But it seems a shame that Kudos and the BBC did not finalise the decision and announce the news when details of series 10 were first released on April 1 of this year. There may, of course, be very good reasons for that. The TV industry is full of unseen complications that can delay decisions and announcements. My interviews for the last ever series – which will include surprises from Harry’s past – are still under embargo. For the moment, here’s an early audio extract from Nicola Walker. Their story finally to be resolved? Posted in Spooks and tagged BBC1, Ben Stephenson, Harry Pearce, Jane Featherstone, Kudos, Nicola Walker, Peter Firth, Ruth Evershed, Spooks. Bookmark the permalink. THANK YOU, Ian for the Nicola Walker audio clip. Sounded like she was just a little bit choked up already? Spooks have had a good run. Now Nicola is free to take on other, possibly more interesting, projects. A long overdue comedy role, perhaps? We’ve accepted the demise/dissapearance of favourite characters as all part of the game and feel strongly that it just wouldn’t be right or proper without Harry at the helm. I had the feeling from the end of last season that something was ‘in the air’ and had my suspicions, but hoped I was wrong. Finding that I wasn’t is very sad, but all good things do come to an end and better that Spooks bows out on top and leaving people wanting more than going on past its time. Not that I really think it ever would be, TBH! We will look forward to the final series and thank you to everyone concerned with the show from day one for the years of flawless entertainment. You were brilliant, all of you! I’m devastated! But is the devastation worth a resolved Harry/Ruth storyline? Absolutely. Whilst utterly devastated that it’s over, I am relieved that it’s been wound up by the creators/producers, rather than simply cancelled. At least [I trust] there will be a logical and well- thought out ending, rather than leaving story-lines dangling and disappearing without trace. Can I add my sincere thanks to everyone connected with Spooks, to all the cast and crew for years of excellent, gripping entertainment. It’s been part of our lives for years. It will really be missed. Sad to hear this but at the same time I think we all knew it was coming, especially given the spoilers we’ve had for what’s to come in S10. Definitely better to go out on a high with solid ratings, and 10’s a nice number for a DVD box set 🙂 I completely agree the series couldn’t go on without Harry, and everyone knows he and Ruth are the heart of the drama – here’s hoping for a fitting finale. I didn’t say I was glad Spooks is coming to an end – I said I believed Kudos had made the right decision, which is not the same thing. There are all sorts of factors that lead to the end of a long-running series and I think it’s better to go out on a high with Spooks ending on its own terms. James, I do know where you’re coming from – I was very sad to hear the news. BUT for me, personally, Harry (and Ruth) is the cornerstone of the show; and to be realistic, at what age do MI5 bosses retire (assuming they aren’t ‘retired’ on the job, permanently)? I would imagine that Harry must be getting close to retirement age, given the nature of the job. And even if not, if Harry isn’t on board then I honestly don’t believe that it would be ‘Spooks’ any more. Section D operatives come and go but I kind of saw the writing on the wall when Malcolm went. I think Kudos has done the right thing, and sad as I shall be not to have my yearly ‘Spooks’ fix, I shall have ten years’ worth of excellent DVDs to watch and re-watch! I am a teeny weeny bit apprehensive, though. While I have found the Harry and Ruth story sweet, it was always – and to me always will be – a minor part of the back story and no more. And while I feel that Harry is the backbone of the cast, I have never felt the same about Ruth. 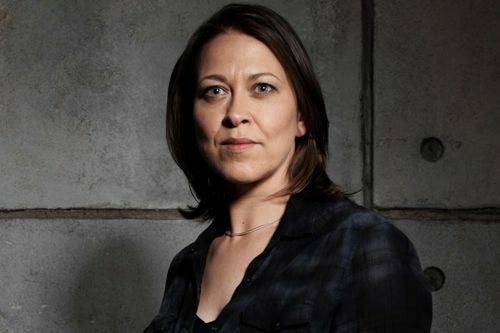 I don’t dislike the character, but I didn’t especially miss her during the time Nicola Walker was out of the cast. And to say that Harry-and-Ruth ‘own’ the show seems to me a touch disrespectful to the many other actors who’ve contributed to it over the years, although I’m sure Ms Featherstone didn’t mean it that way. I, for one, care very much whether they get together, but like you, I don’t want it to be an A-plotline. (And I think there are many people who would agree with me!) That’s been the beauty of the Harry/Ruth relationship – that’s it’s always been below the radar in a way. It’s also the beauty of “Spooks” that it’s first and foremost a show of action, spies, and political intrigue. It never would’ve made it 10 series if it had been anything else…and I’m pretty sure the writers know that.